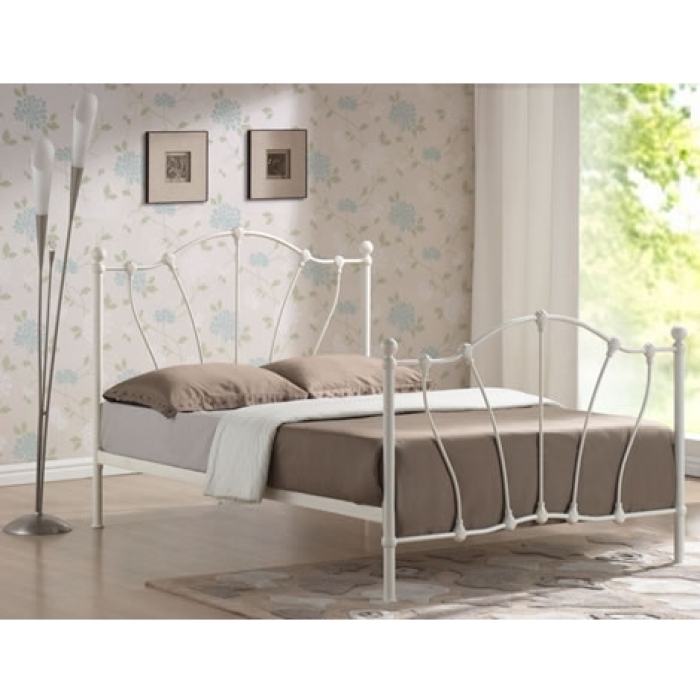 The Hoxton Ivory Bed Frame is an attractive Victorian style bed frame topped with amazing round finials. 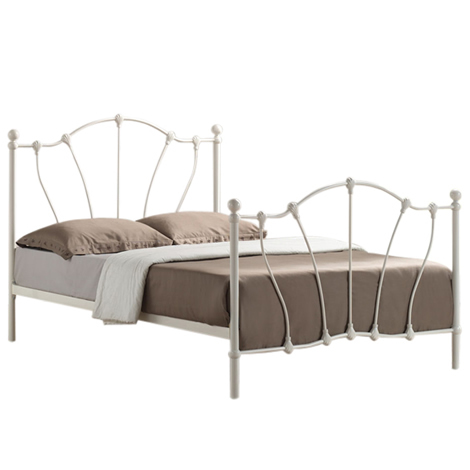 The bed has an enamel gloss finish and curved bars at the headboard and foot end. 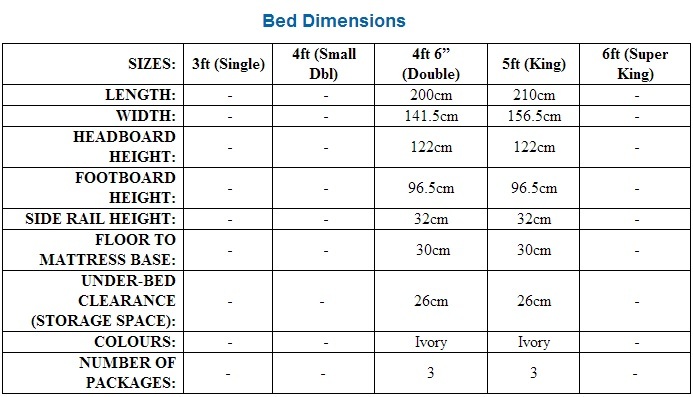 Available in double or king size and finished with a sprung slatted base, this bed frame will keep your mattress in the best condition so it can offer you continuous comfort and support.